FEEBLEBMX.COM Feeble BMX Vancouver - Sweet BMX photos get posted here. The concrete skatepark is pretty big and fun. There is a bowled in mini ramp section with a spine that empties out into a wedgier section. The spine has a round bit on the end that makes it a really fun hip. In the center of the park is a big pyramid with a rail on it. There is also a full size 10 stair rail in one section of the park. 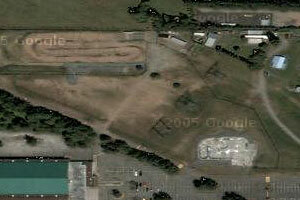 The BMX track next door is a full size, pro race track with gates and an asphault starting hill.